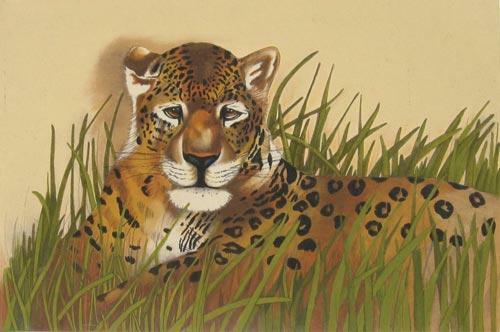 This jungle cat is just resting amongst the long savannah grasses. Pre-shaded on non-woven and measures 30 x 45cm. Use a blotter sheet (1632) underneath, whilst painting.